If you've ever wanted to be a cowboy...and go to college at the same time...then you should look at Deep Springs College. A two year institution nestled in the middle of a cattle ranch and alfalfa farm, its 26 students (Yes, no typo there...there are only 26 students here) work the ranch, milk the cows, herd the cattle, as well as govern the school (hiring faculty and admitting new students), and attend class. 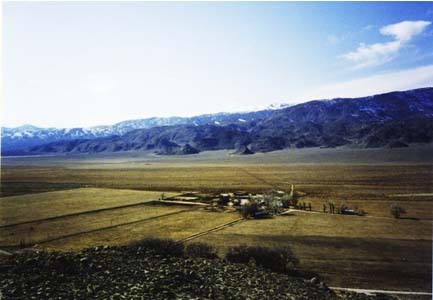 It is located in Deep Springs Valley in Inyo County, California. If you've ever wondered where nowhere is, it's in Deep Springs College. Founded in 1917, it is all-male but the students voted to open the college to women in 2011. Unfortunately, legal challenges have forced coeducation to be delayed to at least 2015. It was founded on three pillars: academics, labor, and self governance. All students must labor for 20 hours a week in jobs around the ranch, ranging from cleaning the toilets and cooking to birthing calves and branding cattle. The day starts early for some: up at 4:30 am to milk the cows and gather eggs for the morning meal where all students, faculty (six or eight teachers) and their families sit and break bread (freshly baked on the premises of course) together. Before you think that all these guys do is ride horses all day long and look like the Marlboro Man, you should know that they sit on committees that decide on admissions, liaise with the public and with alumni, sit on curriculum committees and decide on which students should continue on Deep Springs or should be "voted off the island". Since the Deep Springs community is so small, the students also decide what is taught and how things are done on campus. This is all great but do they actually study? Oh yes, and quite hard too. Deep Springs, again, is a two year college and students can graduate with a two year associates degree but that's rare, students normally transfer to four year universities, over half of Deep Springs alumni have obtained their doctorates. The average class size is eight and is seminar style so there's no place to hide, you have to come prepared to class every day. Deep Springs is, understandably, quite selective. They take about 100 to 200 applicants every year for about 12-15 freshman seats. Those are Ivy-esque numbers. The applicants tend to self select though...I can't imagine that a place like Deep Springs will attract the run-of-the-mill Joe College Boy. So if you are the rugged, outdoorsy type and you want to take that to the next level while going to college, maybe you should follow in the footsteps of Walter Isaacson (former CNN CEO and Time Managing Editor) and spend a couple of years at Cowboy College...Deep Springs. I was going to take a few days off from posting yet another article...this time, another college profile on two-year Deep Springs College when this link caught my eye. I think it's simply amazing how an entire country's SAT results could be cancelled by a few (and I'm pretty convinced that this was the action of only a few) very desperate individuals. As I said in my previous post on the SAT, we here tend to overemphasize the importance of the SAT. Make no mistake, the test is important and one should take it seriously. But ultimately its function in your application is supplementary...you can't get in solely on the strength of your SAT scores. But if people are driven to the extent of this kind of cheating, you have to wonder whether high stakes testing like the SAT should command such a role in the college admissions process. It certainly makes me wonder if the colleges which are test optional in their admissions process are onto something after all. No three letters of the alphabet strike more fear in the US college applicant than these three letters. In many ways, it represents much of what is wrong with the college application process. But let's tackle some questions about it first. 1. What is the SAT and how does one pass it? 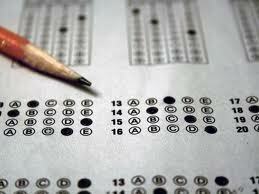 The SAT (formerly known as the Scholastic Aptitude Test is now known as the SAT Reasoning Test. The initials SAT don't stand for anything anymore) is a 3 - 4 hour standardized test used by universities to qualify applicants. It has three sections: Critical Reading, Math, and Writing. Each section is scored on a scale of 200-800 (you don't get a zero if get nothing right) and a perfect score is 2400 (800 + 800 + 800). You don't really "pass" the exam in the way that perhaps the UPCAT or ACET does. You take the exam, you get your scores and you submit them to the colleges you are applying to. They'll decide how much weight to give your scores. 2. When is the SAT offered? How do I sign up for it? 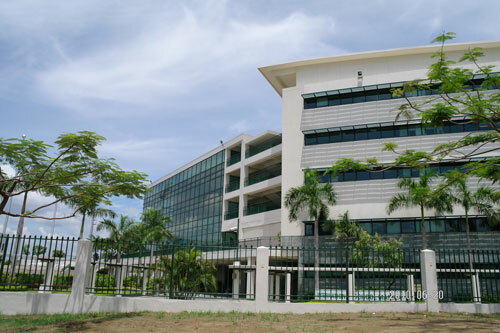 The SAT is offered several times a year in testing centers all over the Philippines, usually in international schools. 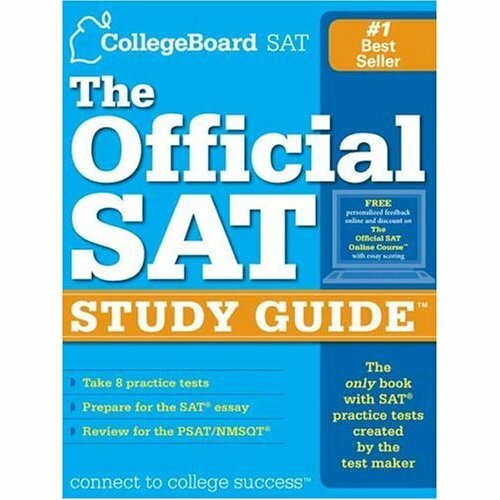 You sign up to take the test by going online at sat.collegeboard.org. The test is about $80. 3. If I'm unhappy with my result, can I take the exam again? Yes, you can take it any number of times until you are satisfied with your score. However, I would not advise taking it more than two or three times. After a while, your score will settle and taking it more times will not appreciably raise (and might even lower) your score. A noted exception is if you take the exam cold the first time, do poorly (I prefer the word underperform), and then do some preparation. Your score should rise to the level of your ability then. 4. How do I prepare for the SAT? As inexpensively as possible! But seriously, we here in the Philippines tend to over obsess with the SAT. The most important thing to remember that the SAT tests you on stuff that you already should know, i.e. stock knowledge. The Math section goes up to Algebra II and elementary geometry, no trig or precalc required. If you don't know those subjects well, no amount of preparation will get you up to speed. The SAT is a problem solving test and the assumption is that you know your math (and critical reading and writing) well enough to solve problems. The best thing that test preparation will give you is an idea of what the questions will be like and give you some test taking skills. Don't expect it (as most parents and students do) to suddenly teach you the algebra and geometry you've been neglecting all these years. [caption id="" align="aligncenter" width="341"] Study guides like these (found at Fully Booked and National Book Store) are good, fairly inexpensive ways to prepare for the SAT assuming you have the discipline to study by yourself[/caption] So how does one prepare...inexpensively? Getting a big study guide like the one put out by The College Board is ideal. This assumes though that you have the discipline to study by yourself. If not, then a review class might be better. At this point, I cannot recommend a particular review center. When my son took a review class, he was teaching THEM how to do the math problems. 5. How important are SAT scores in the admissions process? They're important but not nearly as important as most people like to think. The single most important factor in your application is your transcript: your grades and the rigor of your high school curriculum. Your SAT scores simply support or corroborate your grades. High grades in a tough curriculum will pull up middling SAT scores but high SAT scores will almost never pull up a mediocre transcript. Personally, I use SAT scores as a quick and dirty measuring stick to see what kind of chance an applicant has at a given college when making up the college application list. 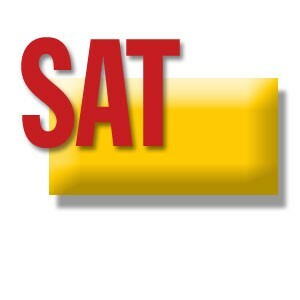 Don't oversweat the SAT. Take it seriously but don't overdo it. Don't bother aiming for perfection thinking that a 2400 will make you a shoo in for any Ivy school. First of all, there is no such thing as a shoo in for any Ivies with their typical admission rates of less than 10%. These guys eat 2400s for breakfast and spit out the bones! Secondly, if you're getting a 2400, don't you deserve a better undergraduate education than the Ivies? Seriously? More and more schools are now SAT optional which means that you no longer have to submit scores as part of your application but they will consider them if you do submit. For a list of these schools, and to see why the SAT is a pretty flawed test to begin with, go to www.fairtest.org. 6. When should I take the SAT? As soon as you can! I prefer that students take it at least once in their junior year just to get a good benchmark and as an aid in the college search process. You can take it again your senior year, if needed. It would be absolutely great if you could get the SATs done completely by end of junior year with a set of scores you're happy with. After all, you've got SAT Subject Tests to worry about senior year. Wait! There's more than ONE SAT Test???? I'm going to start a new feature in my blog: college profiles. Here, I'll introduce to you some of the more interesting, less well known colleges in America. One thing these schools have in common is that they offer, in their own way, a unique (and excellent) undergraduate experience. I will not profile the well known universities, hence, no write up on Harvard and the Ivies, Stanford, and the schools that are fairly well known to students here in the Philippines (Amherst, Williams, Santa Clara, or any of the big state universities). 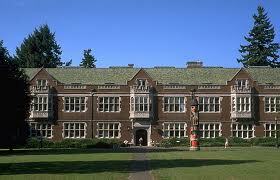 Okay, all that said, let's kick this series off with what is probably my favorite college: Reed College. I myself did not go to Reed but having read about it last year, I wish I had. Located in a wealthy suburb of Portland, Oregon, Reed is one of the most intellectual colleges in the country, easily outdoing the Ivies, Stanford, and Chicago. Loren Pope, former New York Times education editor and author of the book Colleges That Change Lives and Looking Beyond the Ivy League says "If you're a genuine intellectual, live the life of the mind and want to learn for the sake of learning, the place most likely to empower you is ... the most intellectual college in the country...Reed in Portland, Oregon." 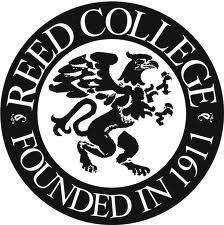 Mostly known as the alma mater of Steve Jobs (which is technically not true since Jobs attended for one semester and was allowed to hang out and listen in on classes even after he had dropped out), Reed is a liberal arts college well known in academic circles for producing future PhD's. A stunning 25% of its alumni have gone on to get the doctorate. But what about the other 75%? They (and the 25% who got their PhDs) see the value of learning how to, rather than what to, think and the ability write clearly and effectively can take you far in the corporate world. But perhaps my very favorite part about Reed is its de-emphasis on grades. Yes, Reed does issue and record grades but these grades are not shown to students. Students need to ask the registrar to see their grades and the most amazing thing is, few of them do. In a day and age when kids claw for every last digit in their GPA (or QPI, for those in Ateneo), Reed students (even the pre-meds and pre-law students) walk around blissfully unaware of their GPA and focused only on one thing: learning. Professors and students work very closely together and students get written evaluations of their work. The no-grade attitude of the students permeate into their very culture...it is considered impolite to ask someone else about their GPA...probably because they don't know. On top of all this, all students must pass a comprehensive exam in their major in their junior year before advancing to senior year. This is something that I've never heard done on the undergraduate level, usually this is something reserved for graduate students advancing to PhD candidacy. In their senior year, all Reed students must write a thesis and all seniors get their own desk in the library or their own lab space (for science majors). At the end of senior year, the thesis is collected in the library amidst much revelry and a thesis parade. Every thesis written by every Reed graduate is enshrined in the library in what is called The Thesis Tower. The grading in Reed is notoriously tough. In an age where grade inflation is the norm, Reed is very old school. Unlike at the Ivies where A's and B's rain like manna from heaven, A's at Reed actually mean outstanding work and only four students in sixteen years have graduated with a perfect 4.0 from Reed. The Reed community lives by what they call the Honor Principle. The Reed guidebook defines the principle as such: The honor principle assumes that members of the community will be honest (not only in their academic work, but in all their behavior), will respect others' rights and persons, will take responsibility for the effect of their behavior on the college as a whole, and will engage in conscientious self-reflection about their words and deeds. This means that all exams are unproctored and dorm rooms can be left unlocked with little fear of theft or vandalism from fellow students. I often wish that such a code would govern student and faculty behavior at local schools like Ateneo or La Salle. I wonder if it would ever work. Reed is definitely not for everyone. It is a very tough school to graduate from, not just to get into (unlike the Ivies and their clones where it's tough to get into but once you're in, it's an easy slide to graduation). It is not for the academically faint of heart. It is not for the grade conscious or for those who measure their academic progress or self worth by their marks. It is not for those who are status conscious. It is academically rigorous and they make no apologies for it. If a life of the mind is what captivates you, and you can live in a community where you are held responsible for your behavior without the benefit of a thick codicil of rules, then perhaps maybe...just maybe...you could be Reed material. Pope, Loren. Colleges That Change Lives, Penguin Books, New York, 2006. I recently heard about a disappointed mother who lamented the fact that her son, who had just graduated from Xavier School, was waitlisted at Boston College. She wished that she had transferred her son to International School or British School so he would "qualify" for the Ivies. It occurred to me that there are many myths surrounding the US college application process and I would like to address some of them now. 1. You need to be enrolled at a reputable international school to have a chance at admission to American universities. Absolutely and utterly false. A few years ago, when I was still teaching at Xavier School, a student came up and asked for a reference. He was moving to ISM. I asked him, "why would you want to do a damn fool thing like that?" (keep in mind I had a son in ISM middle school at the time) He said he wanted to go to college abroad. When pressed why he thought going to ISM would enhance his chances, he could not reply. Kids who go to local schools have as good a chance as kids who go to international schools in applying for and being admitted to the most competitive colleges in America. Unlike schools in Canada, Australia, or the UK, the US doesn't really count that we only have eleven years (ten if you didn't go to grade 7) of pre-university education. If you graduated high school and you have the right board scores (SAT, SAT Subject Tests, TOEFL, etc.) then why not? I, for one, graduated from Xavier School in 1983 and was admitted to Santa Clara University. My brother, also a Xavier alumnus, went to Penn. Today, there are kids who just graduated from Ateneo, Xavier, Poveda, ICA, etc. who will be attending US colleges in the fall. Also, attending an international school doesn't give you a pass to getting into competitive schools like Harvard or Stanford. The Class of 2013 from ISM sent only one kid to Harvard College. 2. I need really stellar grades to even think about college in the States. Absolutely and utterly false. I think this myth stems from the idea that the only colleges in the States worth attending are the Ivies (Harvard, Yale, Princeton, etc.) and their clones (Stanford, Hopkins, Caltech, MIT, etc.) If that's what you or your parents think, then you are missing out on a lot of institutions which offer an education, as good as, and in a lot of cases, BETTER than the Ivies. For the Ivies and their clones, given the level of competition in admissions, you do need stellar grades but even those stellar grades will not necessarily get you close to an admission offer. ALL their applicants have stellar grades, beaucoup extra curriculars, and perfect board scores. And Harvard only accepts about 6% of their applicants. There are many many universities that cater to the B student. Some excellent colleges (my favorite--Reed--comes to mind) that will even take chances on a C student given extenuating circumstances. A lot of the large state universities are also more lenient (exception: schools like Univ of California, Michigan, Washington, etc. are pretty competitive). So ask yourself why you're going to the US to begin with-- If you're going to get a fancy name school diploma or if you want to get an education. If the latter, your options grow exponentially...even with less than stellar grades. 3. I need to be enrolled in International Baccalaureate (IB) to get in. Not always true. If you're looking at Canadian, British,and (I think) Australian schools, then yes. They look askance at our local high school credential but the IB is acceptable to them. So they require the IB Diploma. They will also accept the American high school credential which is available here in the Philippines at the reputable international schools. As far as US schools are concerned, they do not require the IB Diploma. They, however, recognize it as excellent preparation for university-level work and will count it in your favor if you have or will get the Diploma. The most competitive institutions will insist that the student complete the most rigorous high school program available. So if your high school has the IB, while the US college will not require it, will ask why you didn't take it if you had the chance. If you don't have the IB in your high school, don't sweat it. Since it wasn't available to you, you can't take it and the school will understand and not hold that against you. Schools that require the IB also require that you make certain marks if you want to get into particular programs. Using my son as an example, he applied to the Faculty of Mathematics at the University of Waterloo in Canada. To be admitted, he had to have taken IB Math Higher Level which he did. He also needs to get a final mark of 5 (out of 7) in that subject, 5's in both his two other HL subjects (Physics and Geography for him) and an overall score of 29 points and the Diploma. Fortunately, he was admitted to Waterloo based on his previous work but the admission is conditional and can be revoked if he doesn't make his final marks. US schools, which don't require the Diploma, will not have strict mark requirements but do expect that you will get the Diploma and your marks will remain reasonably consistent with the work done previously. Interesting aside: Philippine universities, in their ignorance, do not recognize the IB at all. They will not grant advanced credit or standing to those who have the Diploma or course credit for HL courses where the student has done well (scored at least a 5) (Minor update from the IBO web page: Most of the top universities in the Philippines accept the IB Diploma as a valid entry credential for admission. Applicants are usually required to sit the entrance examinations given by individual universities and most require an SAT score of 1200. http://www.ibo.org/country/university_info.cfm?INSTITUTE_CODE=000662&current_country=PH You might want to checkout the entry for UP....they do offer automatic admission for IB Diploma holders who score at least 1200 on the SAT. I'm assuming on the Critical Reading and Math sections only. But they won't give advanced credit for people getting at least a 5 on HL courses like most other universities abroad will. ) 4. It's tremedously expensive. Only very rich people can afford it. This one is unfortunately about 99% true. The cost of attendance at US universities is enormously high. For the incoming class of 2017, the cost of attendance (tuition, room and board, books, and personal expenses) is just under US$60,000 a year. This doesn't include cost of travel. At the current rates of exchange, you're looking at close to Php 2,500,000 annually or pretty much ten million pesos for the four year ride. Wow! Unless you're a US citizen or green card holder, the figure isn't going to come down by much, if at all. Now it *is* possible the college will award you some kind of merit scholarship or grant which is essentially a discount on the tuition. But at most it will cover about 20 or 30% of the total cost. You're still responsible for a substantial portion. And even this discount is by no means assured, as a rule, international students are expected to pay the full sticker price, a welcome prospect for American universities in the present economy. A noted exception to this is universities like Harvard, an institution so awash in cash (it's sitting on US$30 billion in the bank) it can afford to pay for the evaluated need of its student body. If you apply and if you get in (big IF) and you can't afford to go, they will pay your way. Note that this doesn't mean they'll pay for everything, they will pay for your EVALUATED NEED. This means, given your Philippine income, the institution might decide you should be forking over $3000 or $5000 or $10,000 a year. It's important to note that it's the institution...not you...who will decide how much you need to pay. The important thing to know with any kind of financial aid for international students is this: don't count on it. It's also worth noting that Canadian, UK, and Australian universities cost substantially less, about 40% to 50% less, than American universities. But 50% off a lot of money is still a lot of money.